Our second of the eight prophecies will look at the last book of the Old Testament, Malachi. He lived about 450 years prior to the coming of Christ. He was considered a minor prophet and in fact this book only contains four chapters and is less then five pages long. But in spite of its briefness, it would be wrong to think of it as inconsequential. Let’s take a firsthand look at how large a vision this turned out to be. Again, we are just going to look at a single verse. Here Malachi is boldly telling us several things pertaining to our Savior and the time of His coming. First he tells us that the Lord Almighty is going to send His messenger to prepare the way for Him. Who could this messenger be? We know the messenger that came to prepare the way for Jesus was given the name of John the Baptist. Isaiah had also predicted the coming of this voice of one calling in the desert to prepare the way for the Lord. Matthew clearly makes reference to this prophecy when describing John the Baptist as the voice in the wilderness. Matthew also tells us of how John the Baptist viewed his role as compared to Jesus. 1 Kings 17:22 Then the LORD heard the voice of Elijah; and the soul of the child came back to him, and he revived. Again we see how important the timing is. The Lord must come suddenly, and that is exactly what happened. Imagine if you will, standing in the shoes of the priests nearly 2,000 years ago. Wouldn’t you agree that from their perspective this young king came from literally out of the blue? He was not a force to be reckoned with until the last few months that he walked on the earth. To them it was a sudden rise to power and it was almost from nowhere. Again we see the importance of the Temple. The LORD Almighty (God) is telling us that the LORD (Christ) that you are seeking will come to His temple. This by definition means that the Jewish temple must still be standing. If He is going to come to His temple, then it had sure better be standing. As you will see in chapter 9, the clock was quickly counting down on the existence of the temple. 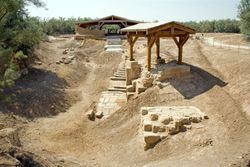 In less than 40 years the second temple would not be standing, and as Jesus had predicted, there would not even be one stone on top of another. The window of opportunity for the Lord to return to his temple was less then 40 years out of the last 2,000 years. Let’s consider the weight of 1 in 1,000, which I gave for predicting the odds against this prophecy coming to pass. Is that reasonable? First, we must consider that a messenger must come first to prepare the way for Him. 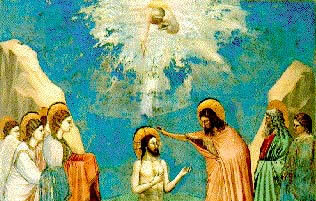 This was fulfilled in John the Baptist through his work out in the desert. He told us his role as a messenger sent ahead of him. So we are told that this messenger will prepare the way for the Messiah. John the Baptist also says that he was not worthy to carry the Messiah’s sandals. So what are the odds of this, “I send My messenger, And he will prepare the way before me.” coming to pass? That alone would probably be one in a million but we said only one in 1,000. You don’t agree? How many times in your life have you seen someone making statements about a Messiah coming and that they are not worthy of carrying that Messiah’s sandals? If you saw someone like that on a street corner on the way to work this morning, then I must ask if someone then came to present themselves as the Messiah to fulfill the messengers prophecy? I think not! Let’s assume that in any given year there was a minimum of 10 million Jews in the world. If that is the case, then this should have happened 10,000 times every year. Again, I think you would agree that this is not the case. We did not even address the fact that the temple must still be standing. Remember, “Will suddenly come to His temple.” And that this Lord will have a covenant, “Even the Messenger of the covenant, In whom you delight.” Does this new covenant that the Lord is delivering, when He comes to the temple, bring anything to mind? Would you agree that this new covenant might be our salvation through the blood of Christ? Remember that the previous covenant from the Old Testament, defined by God through Moses, required the blood sacrifices of unblemished animals. Now God has replaced that covenant with His unblemished Son. Again, I think that saying there is one chance in 1,000 that this could happen without God’s intervention is a ridiculous understatement. Our God is an awesome God, and He is not afraid to thread the needle with a prophecy. It’s impossible to bring this to pass unless you control history. There is only one who can make this claim, and I’m sorry to be redundant, but we should recall how confident He is in making His claim.